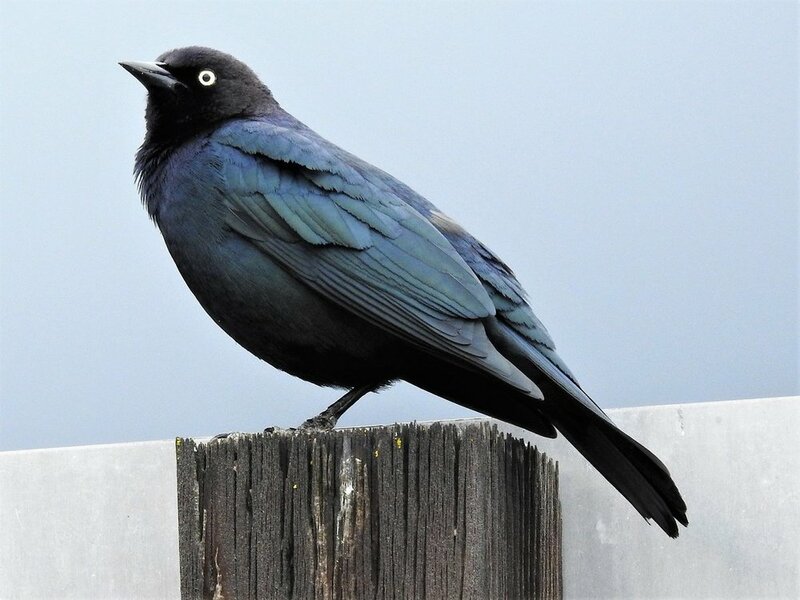 Is this the Brewer's Blackbird or some other species? Yup, the bird looks good... but would you be able to tell if it is a female Brewer's Blackbird? Location? The beak shape looks better for a Red-winged Blackbird to me. Where was this (location) and when? 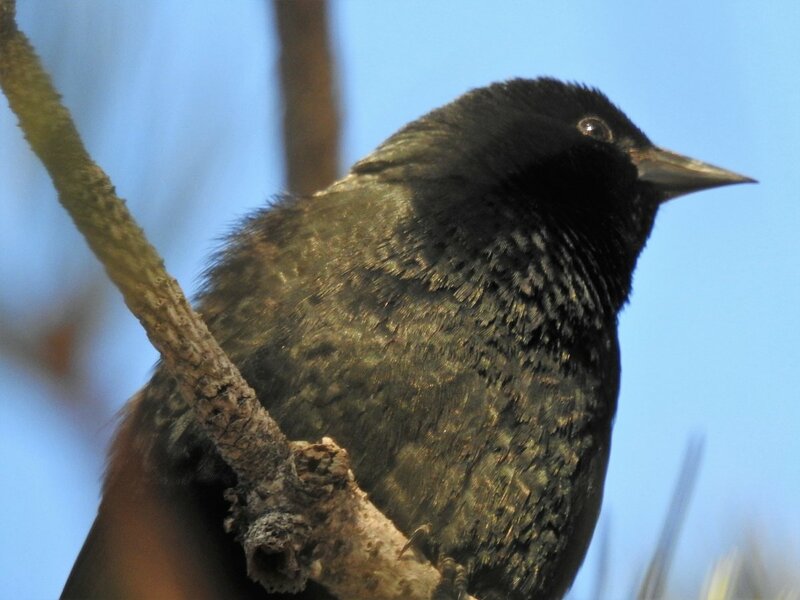 Either way, I have to agree with The Bird Nuts - looks like a Red-winged Black Bird to my eyes. This was just outside the hotel in Jackson Hole, Wyoming (mid April 2018) during my visit to the Grand Tetons. Opposite the National Elk Refuge. Solitary bird on the tree. Added another photo. Can't see the 'red wing' - female? juvenile? Thanks. Thanks for the additional photo. I'm quite sure it's a Red-winged Blackbird, although I have never actually seen a Brewer's, so I'd wait for more opinions. The male's red epaulets are not always visible and females and juveniles look very different -- they are brown and densely streaked. Thanks, appreciate the effort.. I think you're right, when I was in Yellowstone, the guide pointed out to a Red-winged Blackbird which I managed a few shots (it was evening and unfortunately against the setting sun.. all I got was basically a black silhouette =D... 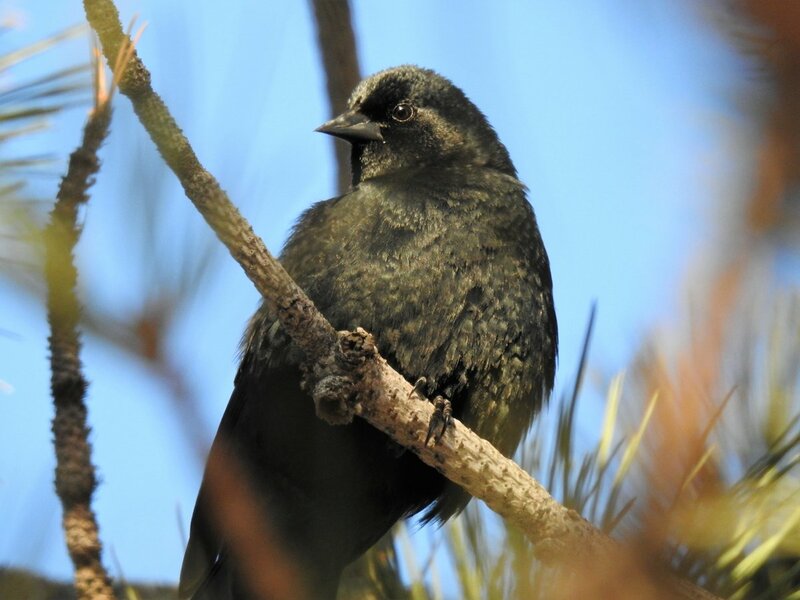 Here's a Brewer's Blackbird I photographed when I was at Oakhurst enroute to Yosemite. I would concur with Red-winged. The shape of the body and bill don't align with Brewer's and the coloration of female Brewer's I see regularly are more of a brownish gray. Thanks... Red-winged it is then for me. I'll make a change in my log.